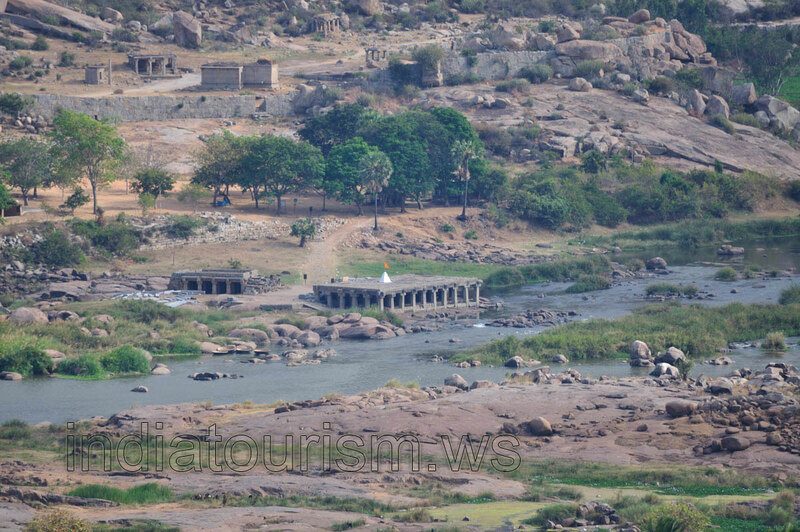 This photograph is a close up view of the Tungabhadra river. You can notice a small temple in the center of photograph. This temple is located on the bank of Tungabhadra river. A small triangular pyramid is built on the roof of temple. This pyramid is surmounted by an orange flag.